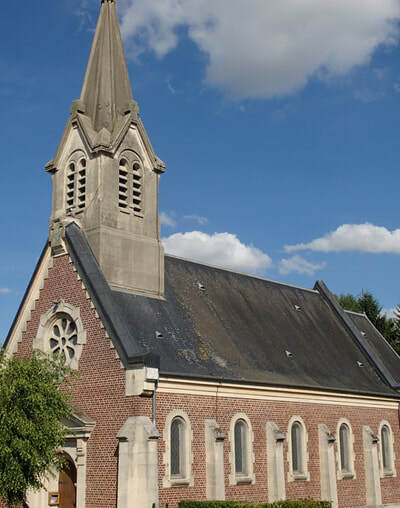 Le Catelet is a commune 21 kilometres south of Cambrai and 18 kilometres north of St Quentin - it is just between Cambrai and St Quentin. 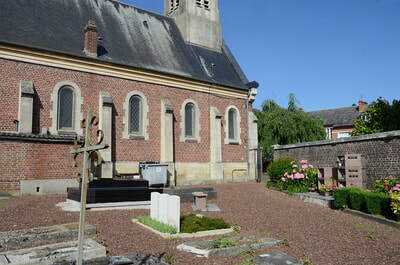 The Churchyard is beside the church on the main road (N44) in the centre of the village. 2 Commonwealth war graves are located in the rear centre of the churchyard, with the other 3 Commonwealth war graves being at the front of the churchyard. 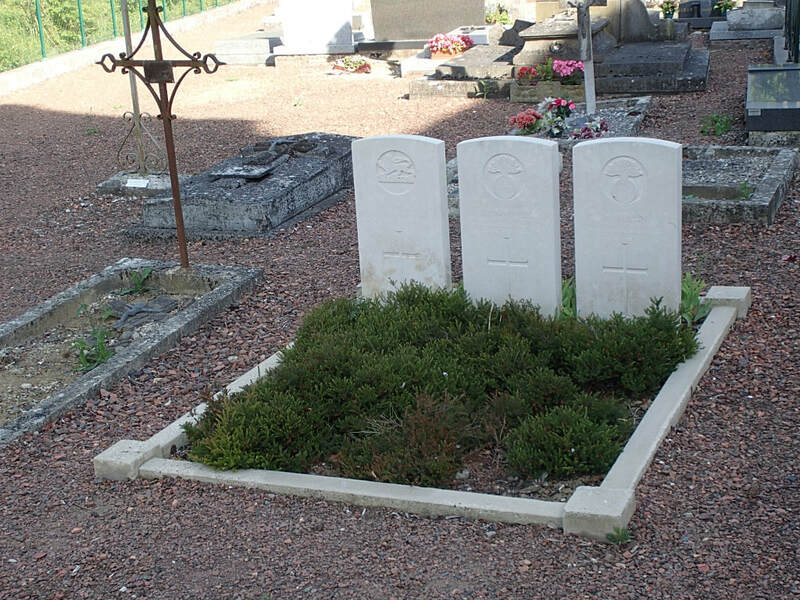 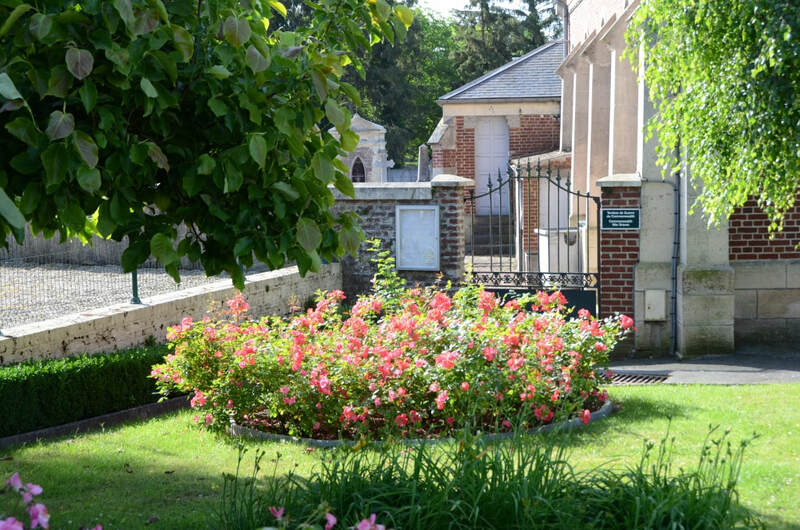 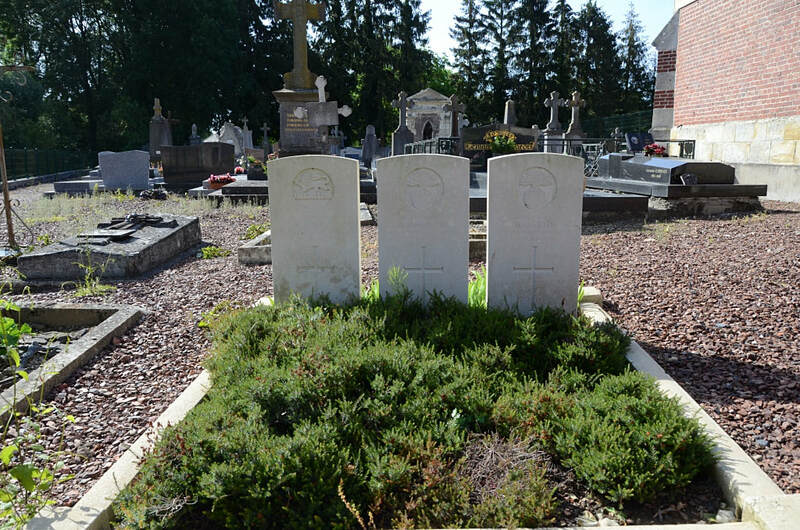 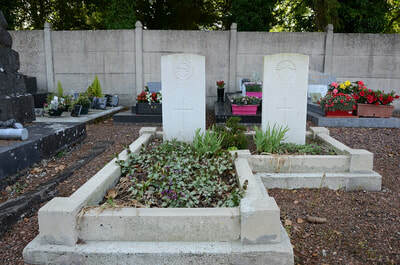 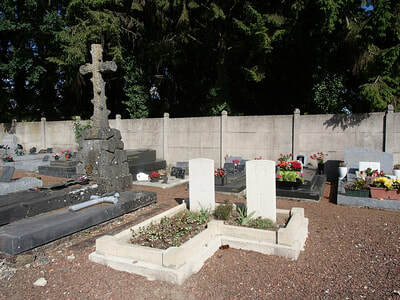 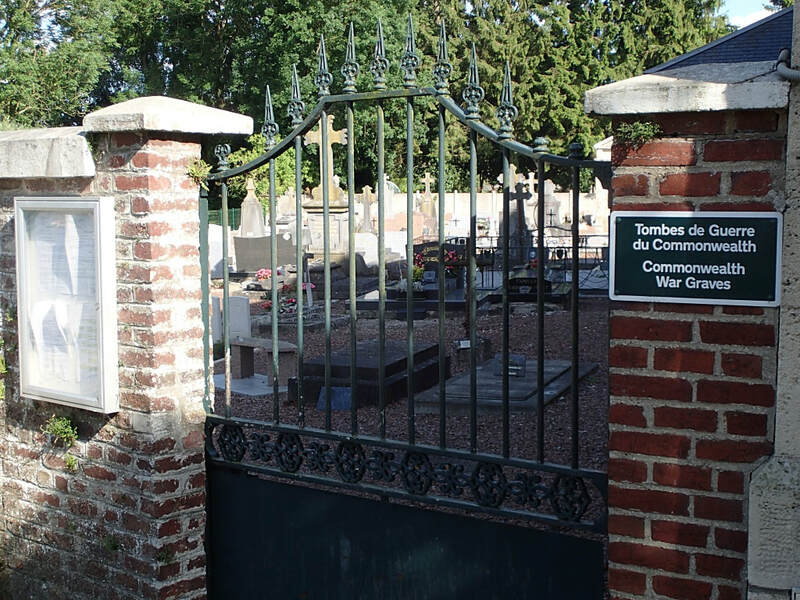 Le Catelet Churchyard contains the graves of four soldiers from the United Kingdom, buried by the enemy in May, 1916, and a special memorial to another buried here in October, 1918. 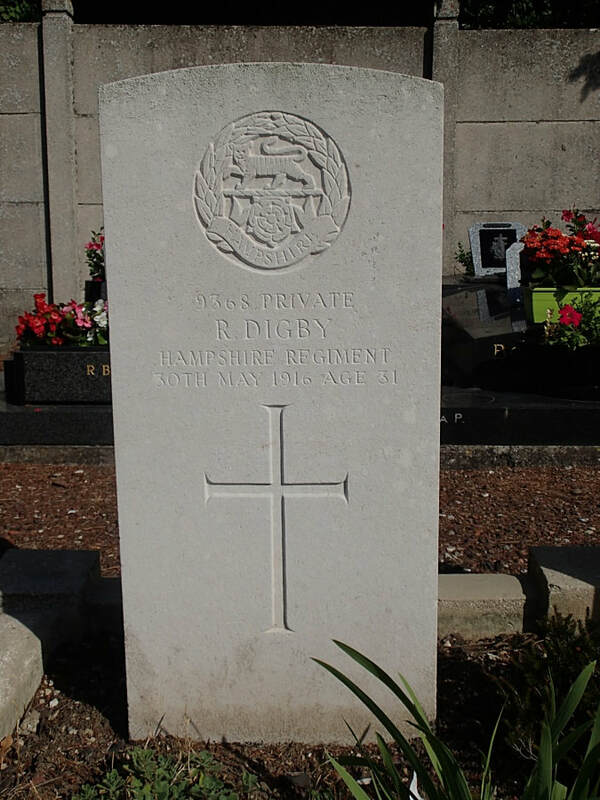 9368 Private Robert Digby, 1st Bn. Hampshire Regiment, died 30th May 1916, aged 31. Son of Robert and Ellen Digby, of "Beechcroft", Beaumont Rd., Totton, Hants. 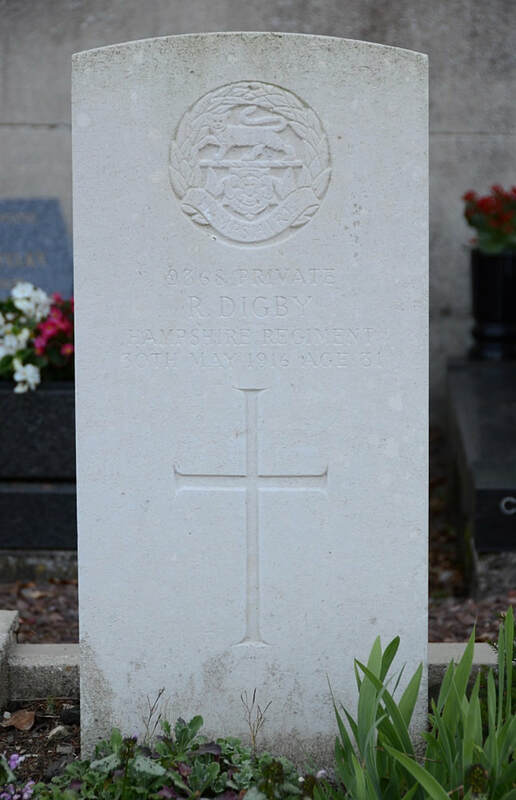 Born at Northwich, Cheshire. 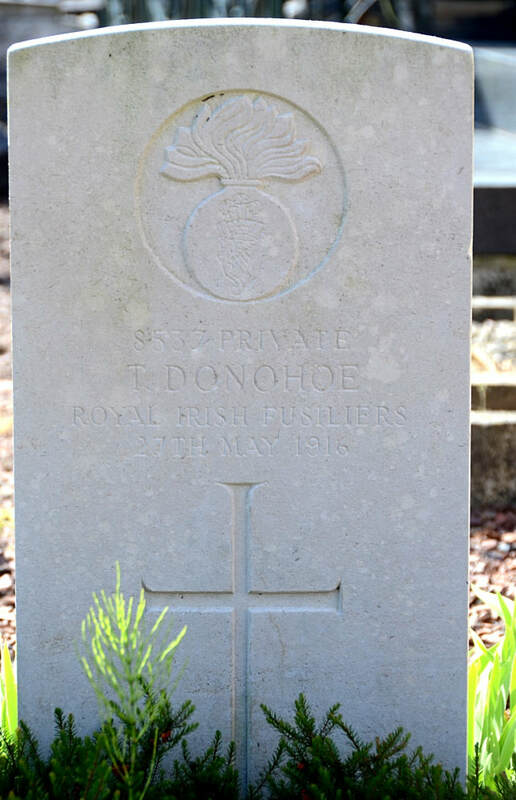 8537 Private Thomas Donohoe, 1st Bn. Royal Irish Fusiliers, died 27th May 1916. 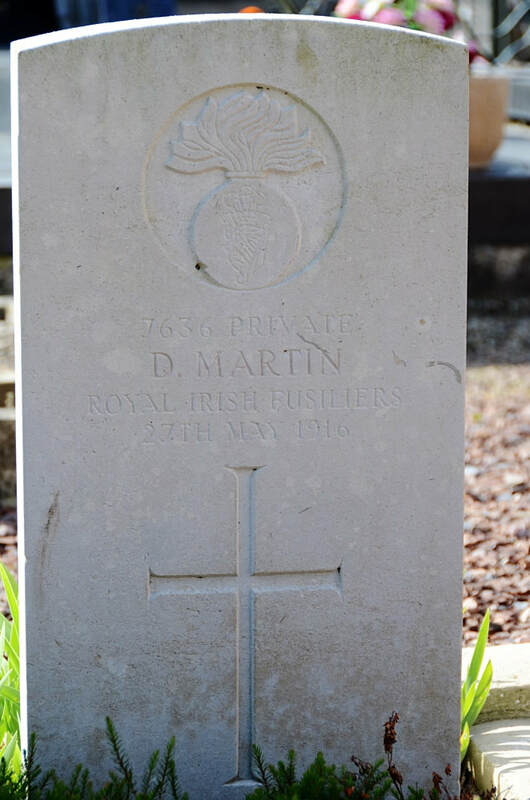 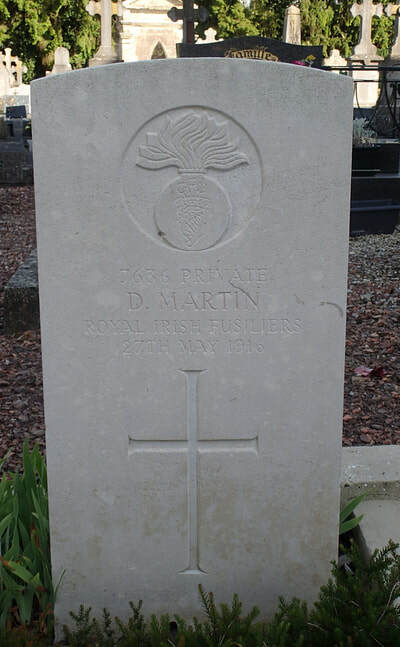 7636 Private David Martin, 1st Bn. 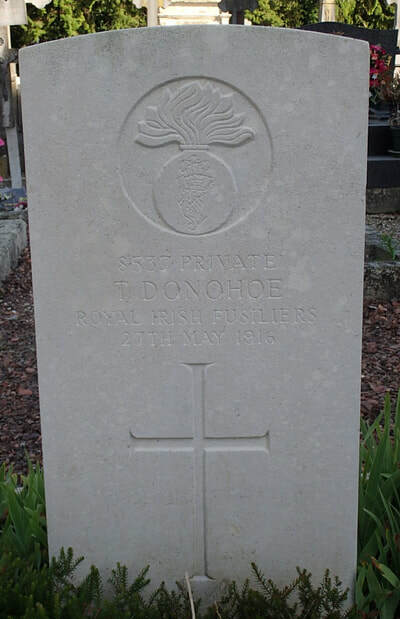 Royal Irish Fusiliers, died 27th May 1916. Husband of Mary Martin of 2 Athens Street, Woodstock Road, Belfast. 5755 Private P. Russell, 2nd Bn. 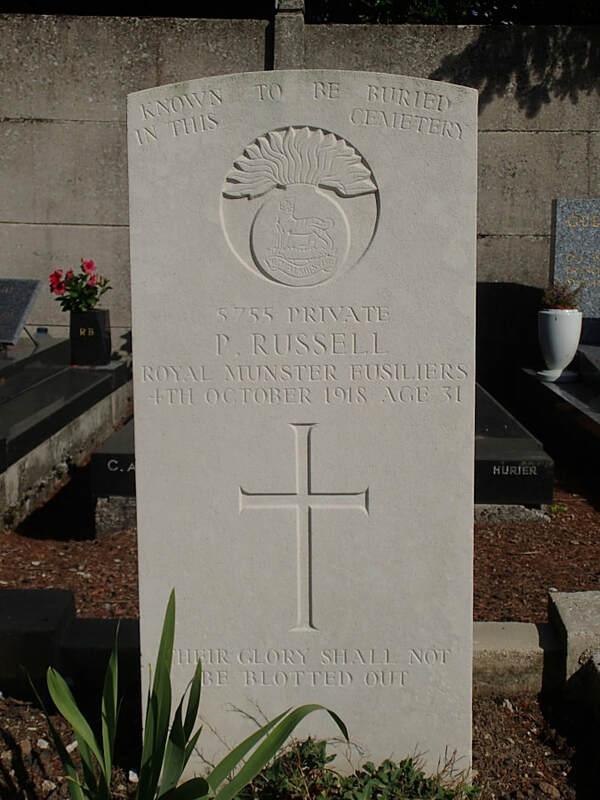 Royal Munster Fusiliers, died 4th October 1918, aged 31. 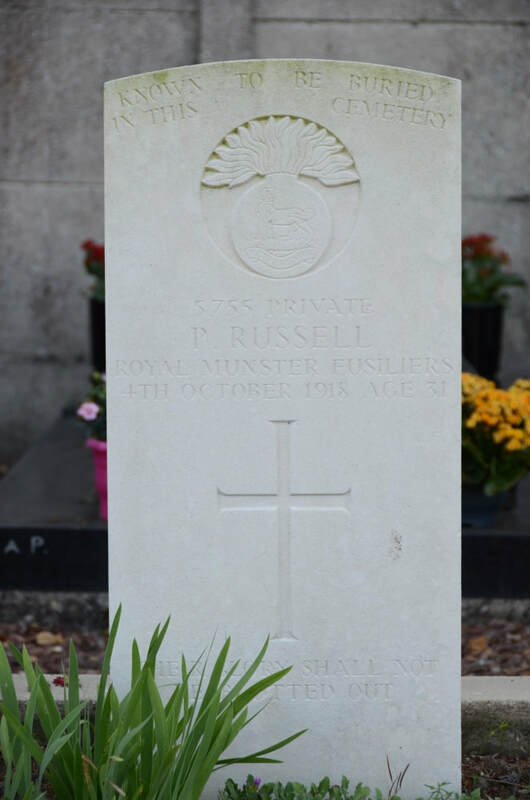 Son of Martin and Annie Russell, of Dunlickey Rd., Kilkee, Co. Clare. 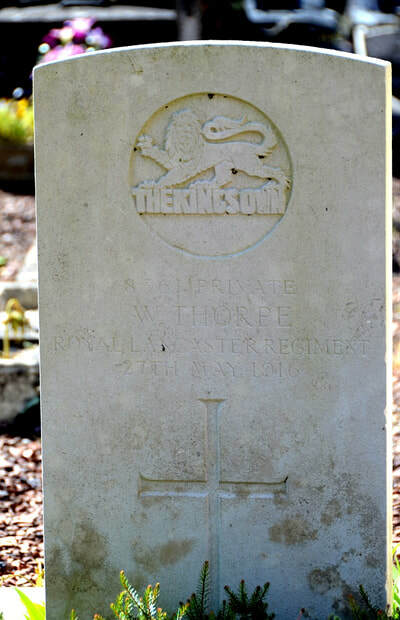 8561 Private William Thorpe, 1st Bn. 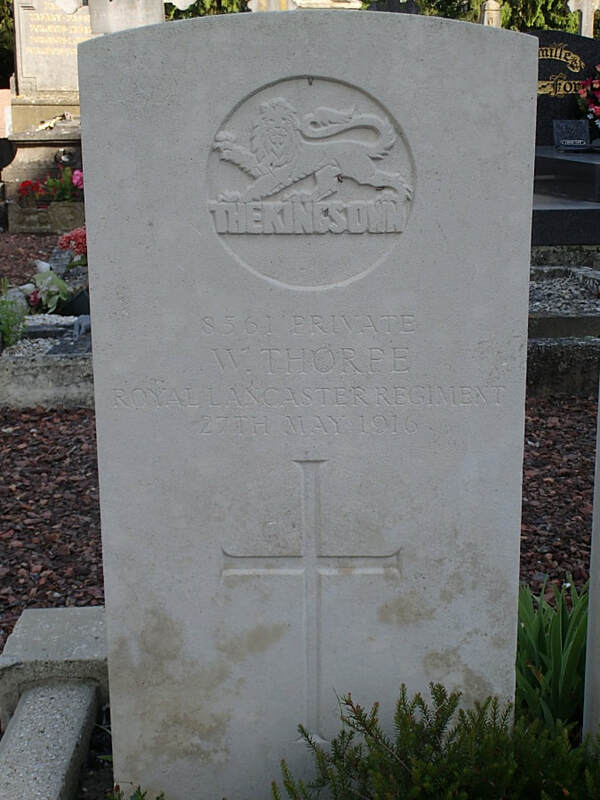 King's Own (Royal Lancaster Regiment, died 27th May 1916.